I don't know about you but I am candle daft, particularly with Yankee Candles. So, you can imagine my excitement when the Yankee Candle Company opened up in Aberdeen. Yee haa. Much to my husbands dismay. Men don't get it, they can't quite understand why we do not like the bedroom smelling of sweaty feet or the kitchen smelling of last nights curry. I normally go for the largest size which mainly come in at £19.99 which is a real bargain given the burning time of these beauties. Though, I have noticed that some of the less popular scents are only around £15.99 for the largest jar. 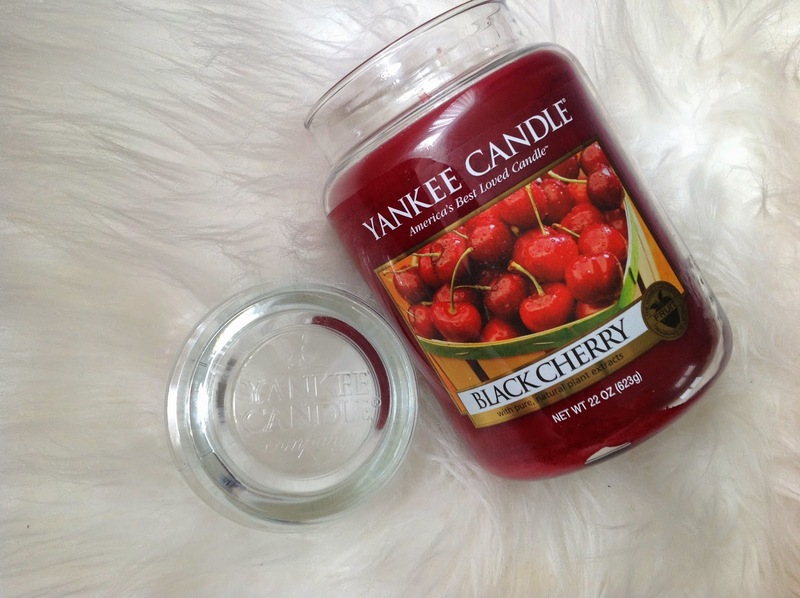 My latest buy is Black Cherry ( I love cherries and mangos), it smells utterly devine. I have it burning in the living room. Ooh la la this looks lovely! I usually go for like Vanilaa musky fragrances but this does sound really lovely! I really have to try Yankee candles.